Global Views 9.92556 - Inspired by an immense garden display from the Chatsworth House set in the heart of Derbyshire, the Chatsworth Ball has been brought down to a charming size with the ability to be displayed anywhere in your home. 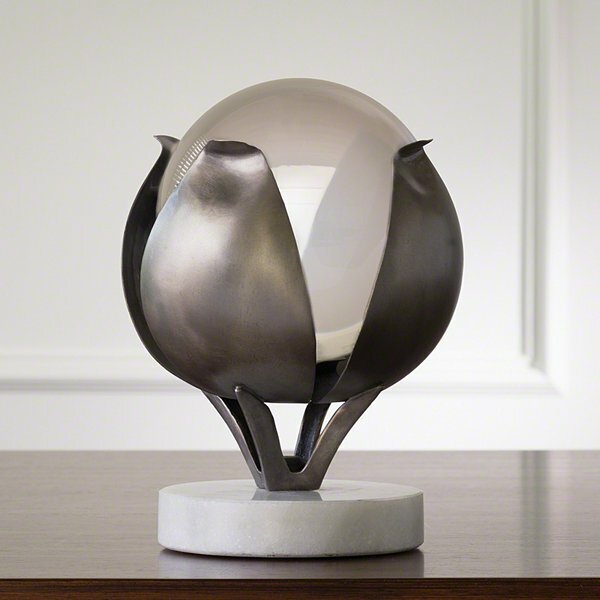 A white honed marble base sets the stage for antique pewter "petals" that seem to flower from matching stems. Beautiful alone, but even more lovely when coupled with our 6-inch crystal sphere (sold separately).